Kitchen, a place where good, healthy and gourmet food is born by the combination of different edibles and with an aid of different types of kitchen hardware like utensil, drawers where the utensils are kept and a lot more. To make good food with the use of other kitchen hardware it is necessary that a kitchen is constantly updated and is organized. 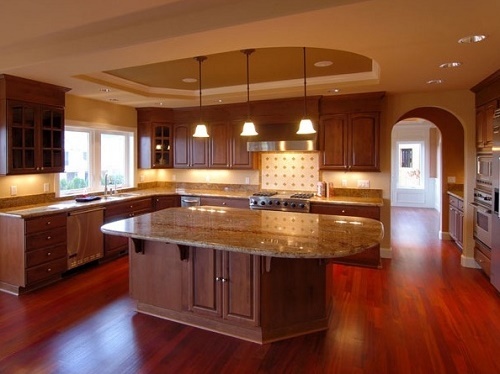 A remodeling of kitchen might seem a tedious task but it is worth the time and of course your money. 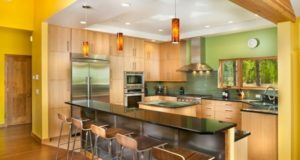 It is always a good idea to invest a good amount of time in remodeling your kitchen so that you can get the perfect kitchen you desire. 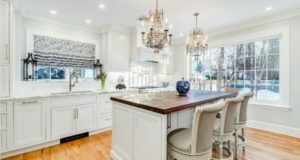 Coming right up are the 10 remodeling ideas for a kitchen that will make you fall in love with the kitchen. Instead of all boxed up shelves, convert them to open shelves. This will provide an open space to display your stuff. You can put up some good crockery’s and also use some greenery around the kitchen. This will help increase the overall appeal. By updating i mean upgrade all the kitchen appliances to the latest and more energy saving ones. Use a more efficient dishwasher, a 5 star BEE rating refrigerator, compact and more efficient chimney etc. It means all the doors and knobs and the pulls, also the other cabinets etc. Update your kitchen hardware to add more personality to it. You can use some playful designs for cabinets or you can keep it simple. Also you can change knobs and pulls, create a contrast by using knobs and pulls from the same family. Paying attention to ceiling can go miles in improving the appeal if the kitchen. Use some contrasting colors on the ceiling, also you can have some designs drawn on the ceiling with plaster of Paris. 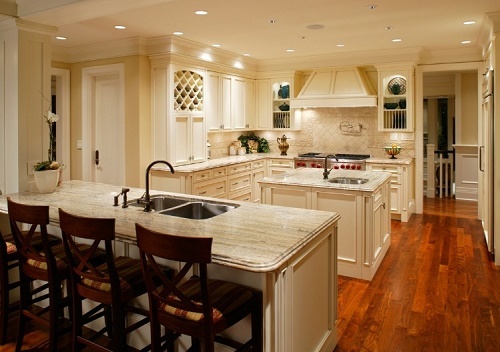 Though using marble top or a stone top gives the kitchen a more plush look but they are expensive. But if you are on a budget you can have a look at laminated boards. They offer a huge amount of variation in designs and are cheap and durable. Lights are very important aspect of a kitchen. Use some bright lights and control them with a dimmer. Also place some light inside a kitchen cabinet, use mini pendants etc. Done go with monotonous look instead mix it up to create some great complimenting designs. Use laminated boards for the open shelves replicating the counter top. Support hinges can be metallic mimicking the metal look of hinges and knobs, adding continuity to style. It’s one of the most important parts of a kitchen. A sink should be large enough so you can work easily but it should not be extra large else it would end up taking more space than required. Complement the sink with a neat designed faucet. What i mean by this is, you can add a piece of chalkboard just beside the pantry door. It’s easy to set up. Just cover an area with a paint tape and paint the inside space with chalkboard paint. This can be used to write some beautiful messages or the recipe, also you can write what’s on menu today. Use labels on the canisters and storage boxes. The labels help you pick the right ingredient every time and also make the kitchen looks more organized and neat. It helps thing to sort up and makes it easy for you to stack them as per your requirement.